FinnAndersen spotted this wonderful vintage portable TV in a dumpster. 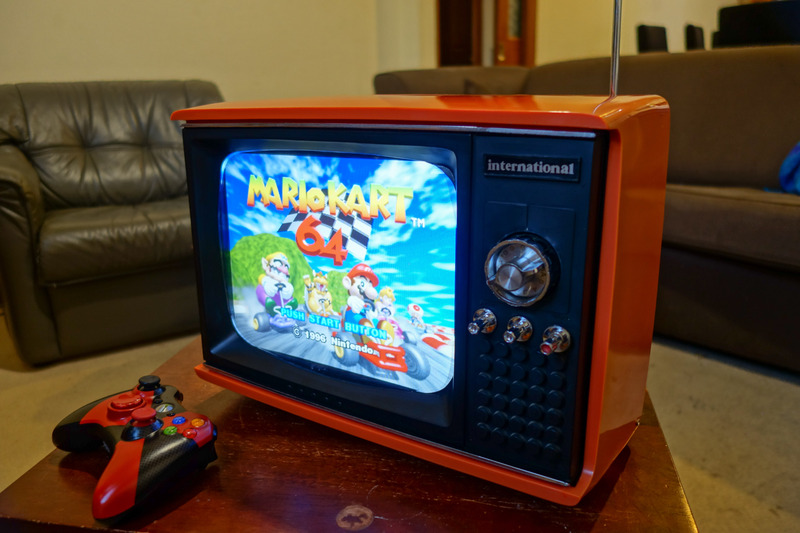 He gutted most of it and outfitted the shell with a new screen and Raspberry Pi 3 to run RetroPie. Demo video below. "It can emulate everything up to and including N64/PS1/Dreamcast, with a built-in wireless XBOX controller receiver for multiplayer parties!, he writes. "It also has a digital tuner inside to watch actual television, using the original knob for channel switching." I'd love to do this to a JVC Videosphere!